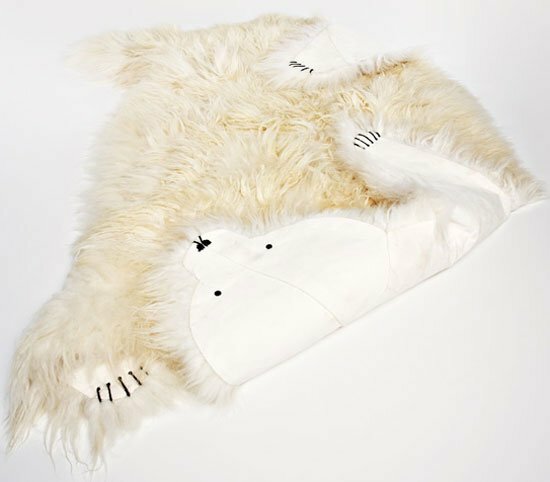 the ‘icebear rug’ is a new rug that has been designed by icelandic designer sruli recht. the rug is a shape of a polar bear and is three meters long. it was created using 15 icelandic sheep skins and is part of a series of 10 rugs, that also come in different colors. the rugs were originally commisioned by greenhouse studios, iceland as part of their bedroom label.